When the pet vaccine for FIV (Feline Immunodeficiency Virus) was announced in March 2002, it was met with enthusiasm from the medical community, not only for its potential value to cats but also for its potential to spur research on a vaccine against human AIDS. The patents for the FIV vaccine are owned by the University of California and the University of Florida, and are licensed to Fort Dodge Animal Health, a division of Wyeth, for manufacturing, under the name of "Fel-O-Vax FIV." The FIV virus was first isolated in cats in 1986 by immunologist Janet Yamamoto and Niels Pedersen. Yamamoto started working on a vaccine for FIV and later continued her work at the University of Florida, along with researchers at Fort Dodge Animal Health. Pedersen, who is the director of the Center for Companion Animal Health, is considered an expert in the field of retroviruses and immunologic disorders of small animals. He has attributed the approval of the FIV vaccine to Dr. Yamamoto, for her decade-long devotion to the project. Shortly after the announcement of FDA approval for the FIV vaccine, as more information came forth, emails began circulating among cat rescue groups because of one fatal flaw: all current methods of testing for the FIV virus will show a "positive" for cats vaccinated with the FIV vaccine. What this means for owners is dangerous in its implications. If we vaccinate our cats against FIV and one of them is lost or simply gets picked up by an animal control officer, it will likely be destroyed as an FIV-positive cat. There is simply no way of knowing which "positive" cat is truly infected and which cat has simply been vaccinated against FIV. It is no wonder that the reception of this vaccine has been less than enthusiastic among the greater community of cat lovers, particularly in the U.S. where FIV strikes only 2 percent of the cats "at risk." 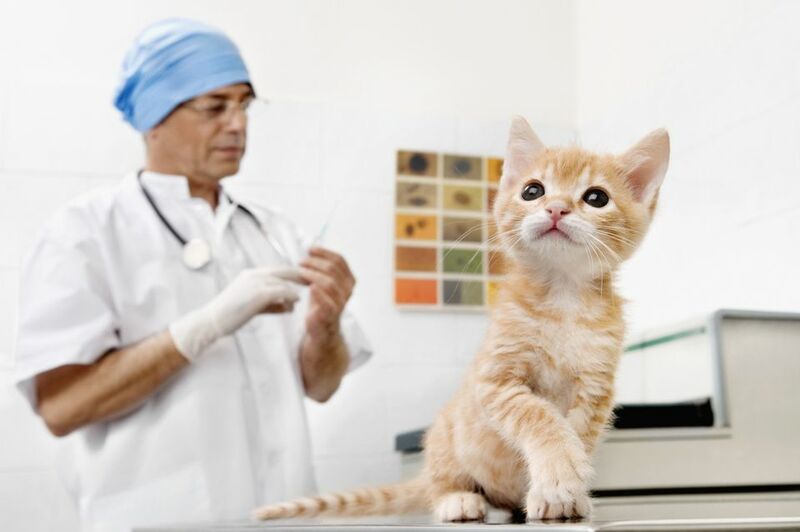 In response to numerous inquiries from veterinarians and rescue groups, the American Association of Feline Practitioners (AAFP) has issued an FIV Vaccine Brief, but they did not offer concrete recommendations. Although there are five strains (called Clades) of FIV, the vaccine was developed by only using two strains. Clade B, which is common in the U.S., particularly in the east, was not one of those two, nor was the vaccine's efficacy tested against Clade B. This means that even vaccinated cats are not fully protected against FIV. Despite its low incidence in the United States, FIV is a dreaded disease, always ultimately fatal to cats that contract it. It is hoped that testing for FIV will improve enough to eliminate that negative side effect in the future. This vaccine is a huge breakthrough in the scientific world, and its potential is important. Whether or not you decide to vaccinate your cat is a personal decision that should be made in consultation with your pet's veterinarian.